Highlight of the week is that guitarist Gene Bertoncini is appearing in several gigs around town this week. Otherwise there is the usual assortment of live jazz in Rochester. Adding a reminder that the Jazz90.1 fall membership campaign is now underway, with a goal of $50,000 to support their 24/7 jazz, blues and other music you can't get anywhere else in the ROC either via your radio or streaming. So, here are the live jazz gigs I found in and about Rochester, NY, over the next 7 days. Yes, it's that time of year again... Summer is over and we begin thinking of ... next summer. 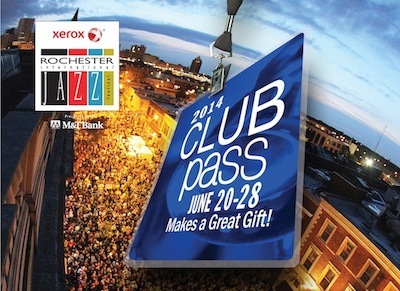 The Xerox Rochester International Jazz Festival's 13th Edition Club Pass goes on sale this Friday, October 25th at 10:00 a.m. at the special holiday price of $174 plus service charge ($20 savings off the regular price of $194, which goes into effect on January 1st. Club Passes may be purchased is online at the website through XRIJF's e-ticketing system or by phone. Customers may also order Passes by phone at 585-454-2060. By the way, a new Club Pass venue has also been added, the Inn on Broadway, which will feature two "blues and down home" shows daily for all nine days (which it pretty much has been doing on its own for the past two years, but now they'll probably move it so it doesn't interfere with the sound in Christ Church). 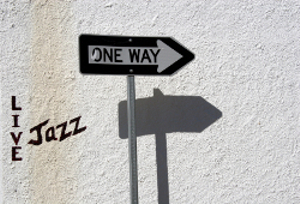 Additionally, the Jazz90.1 fall membership campaign is now underway, with a goal of $50,000. Get in there and support them or chow down at the Breakfast listed below... (or get some art in November...). There's some great things coming this week and next over at Eastman if you're into that kind of jazz, plus a rare local appearance of the Mambo Kings at a great venue (just down the street as it happens...). Get out and hear some! 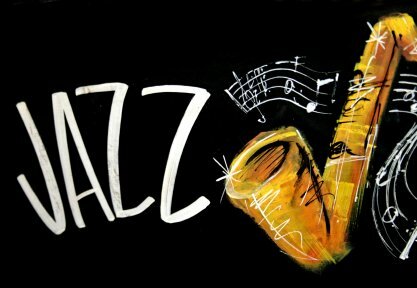 Here are the live jazz gigs I found in and about Rochester, NY, over the next 7 days. Well, the heat is on in our apartment. I'm getting out the sweaters and such. It's that time of year again. However, with the winter people head indoors and there seems to be an uptick in the music around time. Plus, there are a few new items to check out in the Heads Up section. Who's going to see Herbie Hancock in Buffalo? If you do, leave a comment later in the week on this post.